2017 was an amazing year! It was the year of amazing milestones, both personally and professionally. I started off 2017 with the goal of adding on one more music festival to my expertise - and by the end I had been able to work with four in some capacity! 2017 was really the year of my vision board coming to life. I was able to grow so many relationships, meet new potential partners, and gain so much expertise the last 365 days. I'm so grateful for the opportunities awarded to me to allow me to gain more expertise and help someone's passion succeed. Check out a quick glimpse of what Nakoma did in 2017 below - and stay tuned for what's in store for 2018! Thank you to all the clients of Nakoma Marketing + PR - even if you aren't featured here, you all are so special to me! Thank you for entrusting me with your goals and vision, and allowing me to work with you. I am grateful to you all for allowing me to pursue my craft. This was my third year with the festival, and I'm still as thankful as day 1 to work with such an incredible team that allows for such creativity. It's literally a dream - a vision board request came true- to get the opportunity to work with a festival who brought The Internet, Anderson .Paak, Goldlink, Common and others to Durham. This year we presented Goldlink, Common, Masego, Just Blaze, and others. Once again, we were able to increase the millennial purchasers for the festival - thanks to our younger-skewing musical acts, as well as working to implement a college street team and radio advertising on stations that cater to the 18-34 crowd. We were able to maintain our national coverage, and obtain national advertising as well. We had press outlets cross the Atlantic just to check out the lineup! 2018 is our fifth year anniversary, and my fourth year with the festival. I'm so excited for what we have in store, and can't wait to implement marketing strategy to make this the largest year yet! My first year handling the press coverage of the Carolina Music Awards was an amazing experience - thank you so much to Omar for trusting me with such a responsibility. Since I first heard of the CMAs, I had put it down as a goal to attend and immerse myself more in the music scene here in NC. I never thought I'd be handling PR, managing press, and even stepping on stage to present an award (thanks to all who posed for my crowd selfie!). This year's CMA's had a large increase in press attendance, thanks to the submission of press releases to more music-based outlets. Intelligently Ratchet broadcasted live during the awards, and additional outlets interviewed each artist on the red carpet. This year I was pleased to be asked on as a sponsor for the Carolina Waves Official Hopscotch Day Party. Mir.I.Am always does a great job of including local artists on these large scale festivals, so it was great to be a part of what she put together this year. This was my first year handling marketing strategy, PR and artist/press relations for the Beats N Bars Festival, located in Durham, NC. 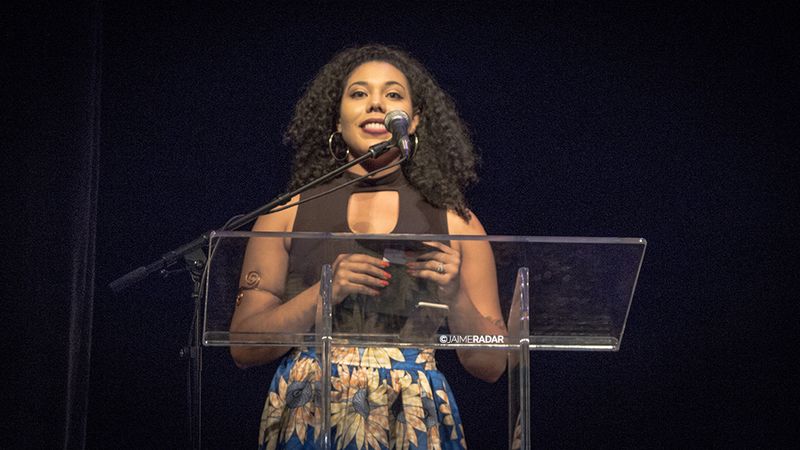 This year's lineup was incredible, and featured Nitty Scott, Nick Grant, Cyhi da Prynce, G Yamazawa, and more. It was such an incredible experience, and the BNB team works so hard to showcase both local and national hip hop acts. I was so honored to be a part of the team! This year was the first year implementing press, so it was great to get live interviews of artists captured, and to experience the energy of the press area on both days. I'm looking forward to what the team cooks up for the third year, and hope to lend my expertise once again! I joined forces with Carolina Waves one more time in the fall - and I was able to work my first out of state event! I assisted Mir.I.Am with curating and promoting the NC based showcase at Atlanta's A3C festival. It was great to help put together this event, and I owe Mir so many thanks for always having confidence in my skills and letting me be a part of the wonderful things she's putting on. 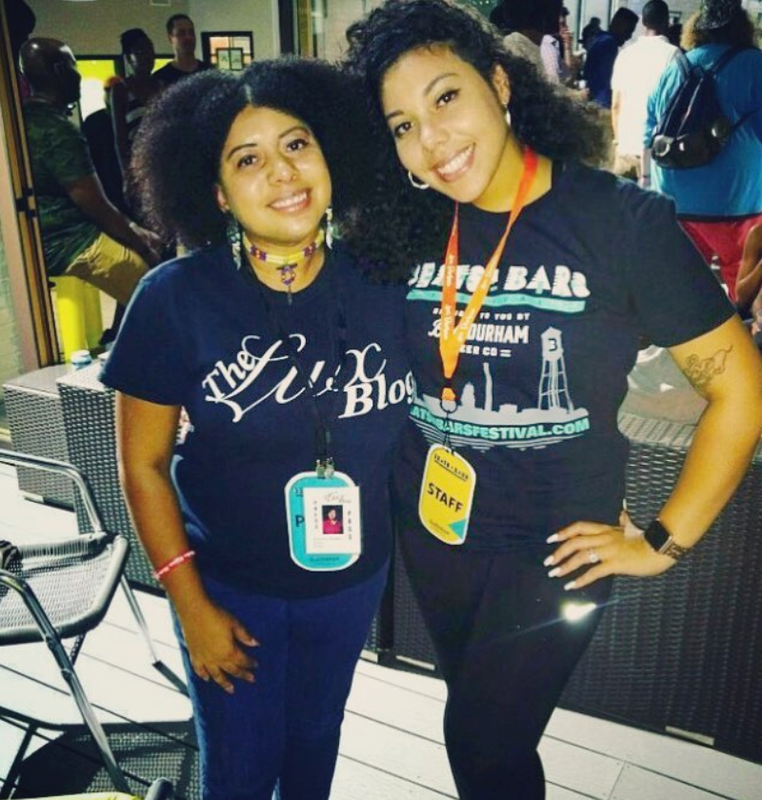 A3C was simply amazing and I was able to gain a lot of insight to use for the events I have planned for 2018 (not to mention the shows were phenomenal!). A few years ago, I worked with Corey on his initial campaign to become Raleigh District C City Councilman. He, his wife Chanda, and his entire team have always been so amazing to work with. Last time I worked heavily on graphic design, website design and marketing strategy, and this year I came back to assist in a smaller role helping with graphic design for his re-election. Corey has done some amazing work, so it's no wonder the district chose to re-elect him for another term. Cheers to Corey for another successful term! My goal for 2018 is to top this year - and even though that might seem over the top, I am confident! I am excited to work with current clients to continue to strengthen our working relationships, and to partner with more companies/entrepreneurs to create a more positive environment out there! I'm working to focus more on my brand and self-development in 2018, and really focus on achieving the goals I set out - and encouraging others to do the same. What are some of your 2018 goals - and how are you working to achieve them? How can Nakoma PR help you achieve them? I'd love to meet for coffee to talk about how we can partner together, or just encourage each other. Head over to my schedule your consultation page today and drop me a line!